As soon as babies get their first tooth, parents should be diligent in caring for it and those to follow. The significance of dental care for children is second to none, so that they can have excellent smiles all through their lifetimes. That will mean being persistent and doing a portion of the brushings and flossing for them, even with their first teeth. The essential thing is to provide the best possible care to the baby’s teeth because it will have an effect on the condition and well being of the secondary and permanent teeth. That said, be diligent in brushing the child’s teeth at least twice a day. At an exceptionally youthful age, babies and toddlers don’t understand how to spit out toothpaste, so it is imperative that just a little amount is placed on the toothbrush in light of the fact that they are meant for oral use, it isn’t intended to be swallowed. When the child is a year old, he should see the dental specialist to guarantee that all is well. From that point on, normal dental checkups are an absolute necessity. Your kid’s 20 baby teeth will start to show up generally somewhere around six and nine months, though it may start as early as three months in many cases or as late as twelve months. The bottom two middle teeth to begin with, then the top two middle ones, then the ones on the sides and back. They may not all come in straight, but don’t worry. They typically straighten out over time. The last teeth to appear (the second molars, found in the very back of the mouth on the top and base) usually come in around your baby’s third birthday. By age 3, your child ought to have a full set of 20 baby teeth, and they shouldn’t start to fall out until his permanent teeth are ready to start coming in – around age 6. Despite the fact that milk teeth are lost naturally as a child grows, it is important to ensure that these teeth get maintained correctly. Never be afraid to ask for advice from your dentist – the profession has developed a lot over recent years, and the number of therapeutic techniques has increased dramatically in that time. The American Academy of Pediatric Dentistry recommends that you book your child’s first appointment with us anytime between the appearance of the first tooth and age 3. A good family dentist will also prescribe visiting a “pediatric dental practitioner” just so your baby can get the feel of the office and the staff. By that time your child has had some of his or her primary teeth come in. Initially, the dentist will do a complete exam, evaluating the condition of your child’s teeth and gums. The dentist will check the teeth for cavities, position, and formation. They will also examine the gum tissue and general oral health. The bite relationship will be evaluated to determine development patterns. If your child is comfortable with the initial exam and is tolerating the procedure, the dentist or dental hygienist will clean your child’s teeth, give the a fluoride treatment to strengthen the enamel and talk to them about brushing techniques. Usually, they will demonstrate brushing on a plastic model so that your child will be able to see how to clean all areas of his or her mouth. Topical Fluoride — The use of fluoride to deter your child’s dental decay has been in practice for decades. We use topical application of fluoride as a medicine to prevent demineralization of the teeth by strengthening tooth enamel. As the strength of the tooth enamel increases, the tooth’s resistance to the bacterial acids produced in the mouth will increment. Topical fluoride treatment can include the application of fluoride in a gel, varnish, paste, or mouthwash. Some of these applications can happen at home while others can happen just in a dental office. The use of fluoride in various mediums, especially in the public water supply, has been a very helpful practice for many years. 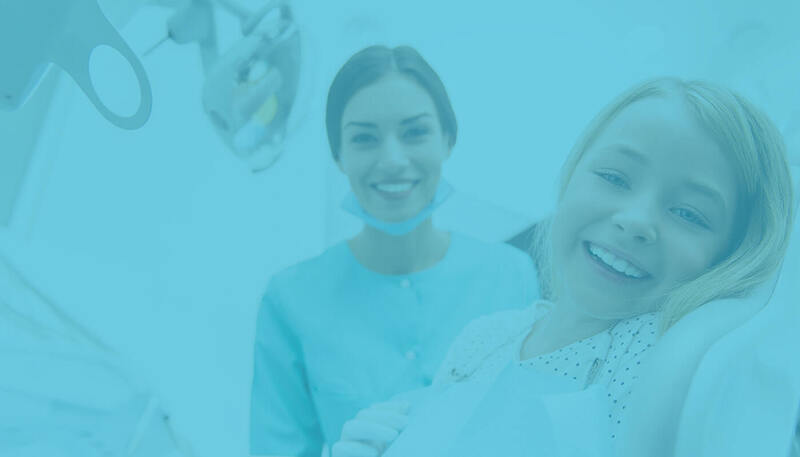 Dental Sealants — Dental sealants or Tooth sealants are plastic coatings that protect the chewing surfaces of your teeth from microscopic organisms and plaque that cause tooth decay. We mainly apply this to the grooves of your back teeth – premolars and molars – wherein decay happens regularly. You will find that most of the tooth decay that happen in children and also teens takes place in these tooth surfaces. Application of this coating protects chewing surfaces from germs and also sustenance things sticking to the grooves of these teeth. The best way to protect the permanent teeth of your child is to apply a dental sealant. Adults can also benefit with this. Root Canal Treatment — A root canal is a funnel-shaped channel full of soft tissue that runs from the surface of a tooth down through the enamel itself and into the root. Both root stems have a root canal. The canal is where you can find the main nerve tissue inside the tooth. Root canal treatments are one of the most dreaded of dental procedures. If the dental decay is left untreated, it progresses deep inside the tooth and reaches the pulp tissue. Root canal treatment is done to replace the infected pulp with a filling. The procedure is used to save the teeth, which would otherwise get removed. Bonding — Dental bonding is all about treating damaged teeth, or stains on them and even teeth that are chipped or cracked. When there is enough corrosion caused by the teeth due to decay or some infection, dental bonding plays a vital role in restoring the teeth to its regular shape. The time duration of the treatment always depends upon the intensity of the problem. By around age years, most malocclusions have gotten to be obvious. For children, the most well-known orthodontic issues are poor arrangement of teeth because of crowding and protrusion of the upper front teeth ahead of the lower teeth (frequently called buck teeth) because of the lower jaw being shorter than the upper jaw. The primary cause of crowding starts from teeth being bigger than the measure of space available in the mouth. The causes of protrusion of the upper jaw can vary from patient to patient and genetic growth patterns inclusive, thumb sucking, tongue thrusting, airway obstructions that cause the child to inhale through the mouth and irregular eruption of permanent teeth due to loss of baby teeth. If your child gets involved in any sports activity, you should consider getting them a mouth guard because that is a smart thing to do Mouth guards are of particular importance for children as their teeth are still developing. Damage at a youthful age could create problems into adulthood or severe injuries requiring broad surgical intercession. We can have a mouth guard uniquely crafted for your child using a model of his or her teeth that will offer more prominent protection than an off-the-shelf design. Please ask us about mouth guards, at your child’s next appointment.